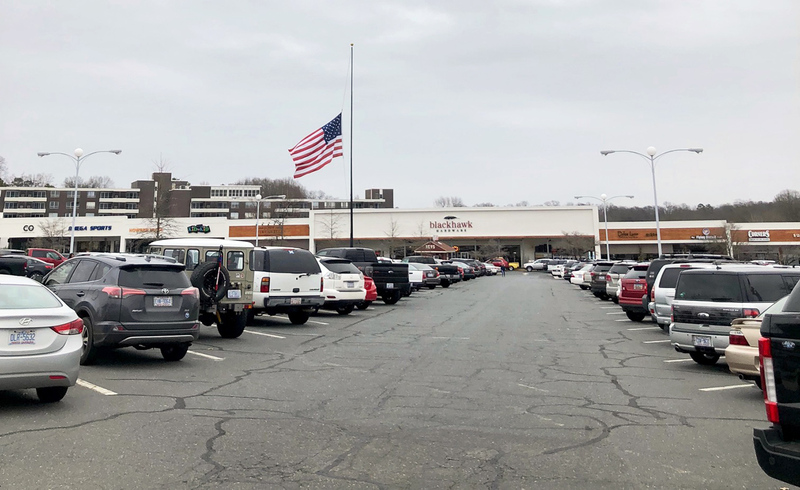 With the addition of Shake Shack (opening this spring), Cava (opening this summer) and whatever takes the place of Park Terrace movie theater (RIP) — parking at Park Road Shopping Center is going to get even more brutal. On a recent Friday night, I drove to Flour Shop at 6:15 p.m. for an early dinner date with my wife. I drove around the Backlot for 10 minutes looking for a spot, finally grabbing one far away from the restaurant on the other side of Amelie’s. Last Thursday at 7 p.m. I went to the Backlot for a quick Amelie’s Salted Caramel brownie fix. All the Backlot parking spots were taken. Eight cars were circling the Backlot waiting for a spot to open up. 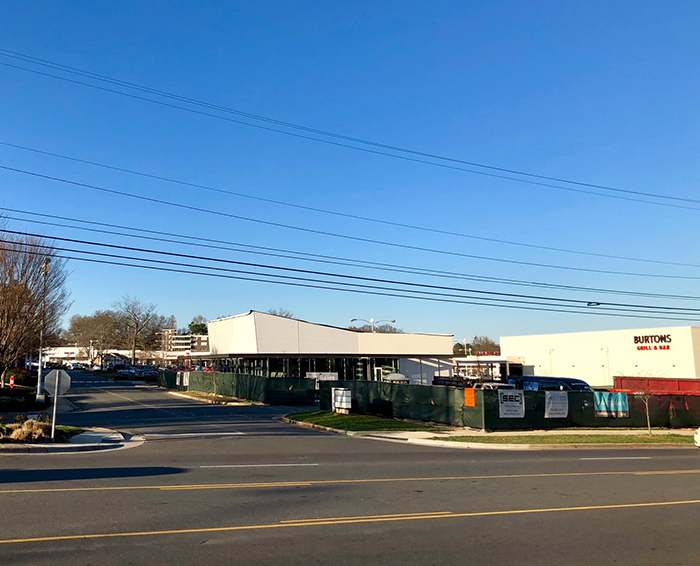 Just in the past year or so, the Park Road Shopping Center Backlot alone has added five popular destinations — Midwood Smokehouse, CorePower Yoga, Dot Dot Dot, Flour Shop and Amelie’s. I know, I know — first world problems to have to be frustrated with subpar parking — but let’s be honest, Charlotte loves its parking. 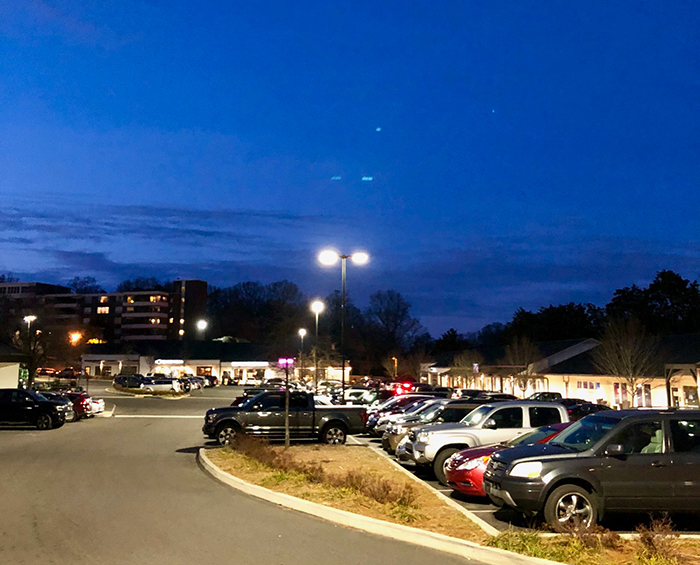 Park Road Shopping Center currently has 1,600 parking spaces. Edens, the company that owns the shopping center, is already bracing for a parking crunch. They’ve instituted an employee parking program over the past year, where store workers are encouraged to use designated spaces. “This helps make parking as efficient as possible,” said Sydney Derrick, marketing manager at Edens. Listen, I love Edens. They’re brilliant developers. But they’re going to have to figure something out and it’ll need to be more than just popping open a valet stand. The buzz around Shake Shack is extreme. And the fact that it’s across from Chick-fil-A means that Woodlawn is going to be brutal. I wouldn’t be surprised if we saw another traffic light installed at some point. To a lesser extent, Cava will also drive more cars into the shopping center. The big question mark is how many more cars will whatever will take the place of Park Terrace movie theater drive into the lot? The execs at Edens would likely rather be playing golf and counting cash than replying to angry tenant parking emails, so there’s no doubt in my mind that some analyst is sweating in their office going over parking options. This section of Woodlawn is about to become a disaster. Will Park Road Shopping Center be the next laughable parking situation like the Metropolitan or will Edens save the day with a solution? Only time will tell, but with Shake Shake’s grand opening only a few months away, a parking solution won’t be able to wait long.